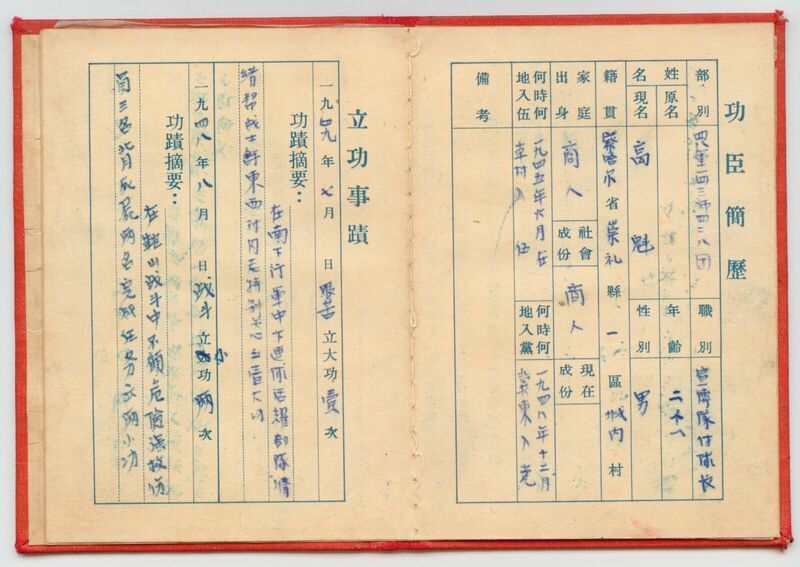 This is a most extraordinary award booklet for Meritorious Service in the Chinese People's Liberation Army (PLA), 4th Field Army, awarded on August 1, 1950 - the anniversary of the PLA, and less than one year after Chairman Mao declared the establishment of the People's Republic in 1949. 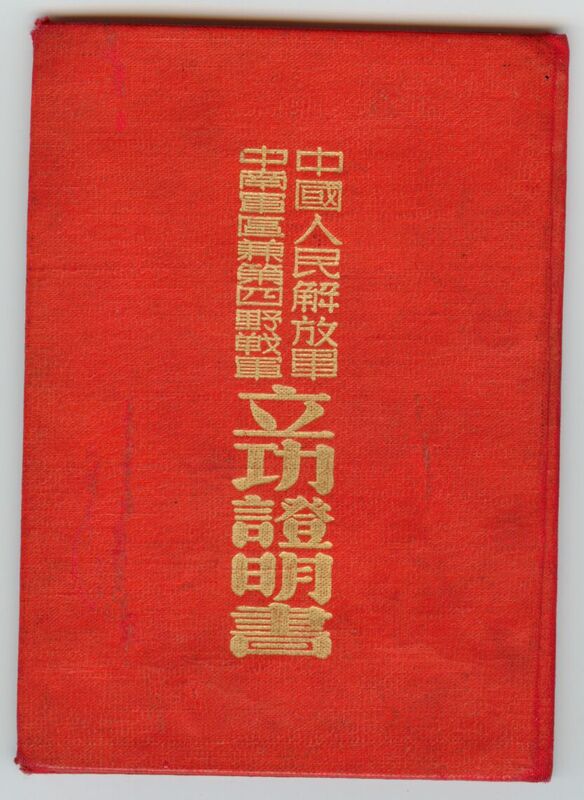 The hardcover award booklet contains several outstanding features. 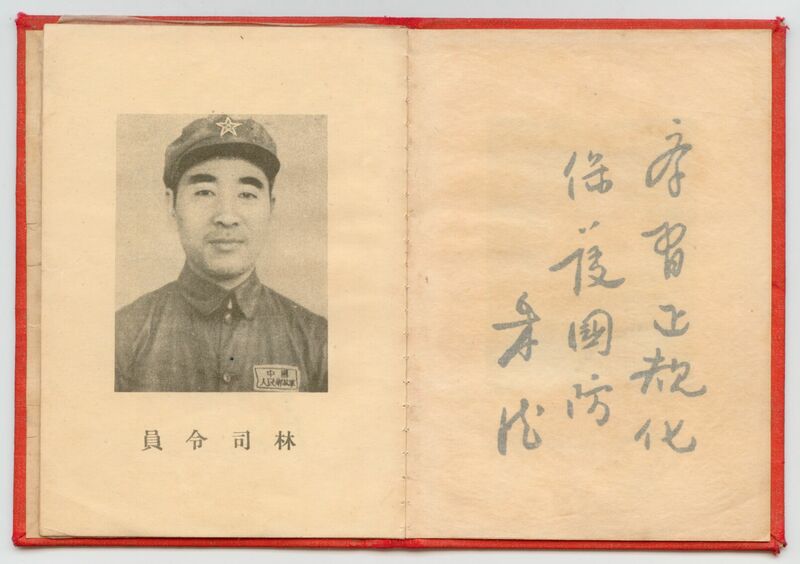 In addition to a young looking Chairman Mao Tse-Tung, there are portraits of General Zhu De and General Lin Biao, who also contributed calligraphy in their own handwriting. 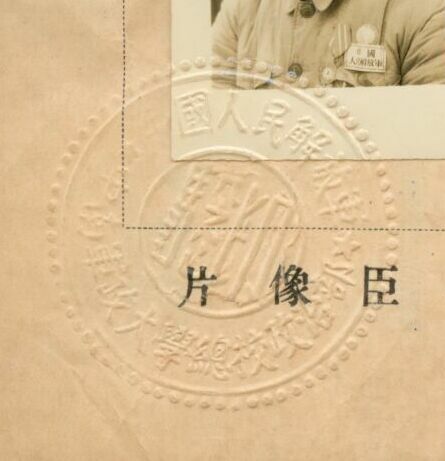 The attached photograph of the young solider who received this award has been embossed with a steel seal showing amazing detail. 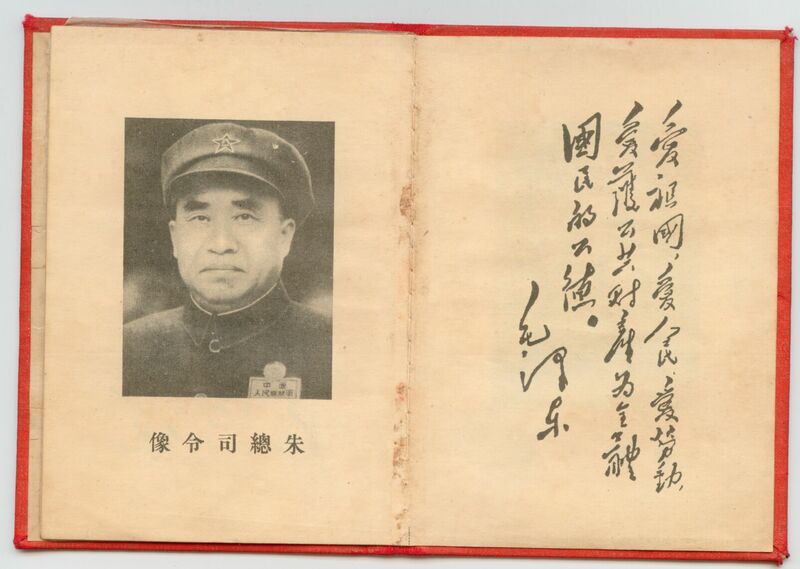 The middle pages explaining the award also show Lin Biao as General of the 4th Field Army and Political Commissar. 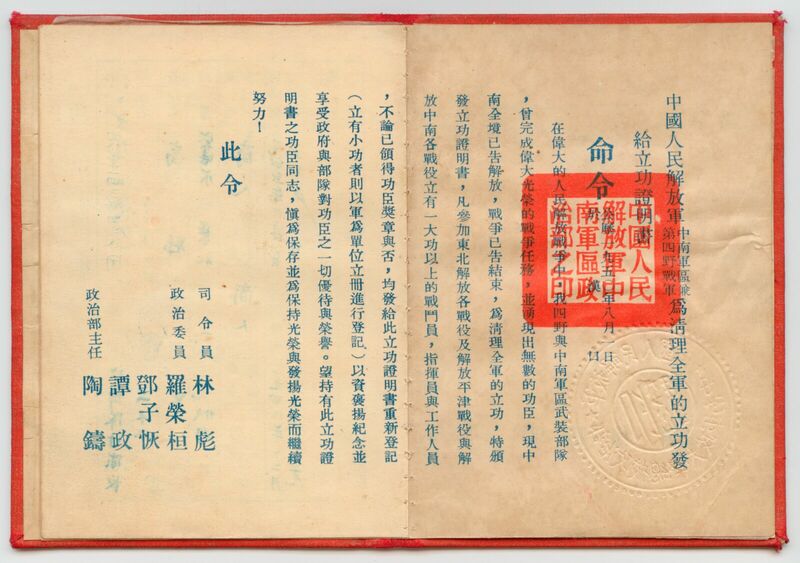 The book opens to the right and Chinese text reads from right to left and from top to bottom – all the indications of traditional Chinese text, and of course there is no use of the simplified Chinese text later introduced by the communists. 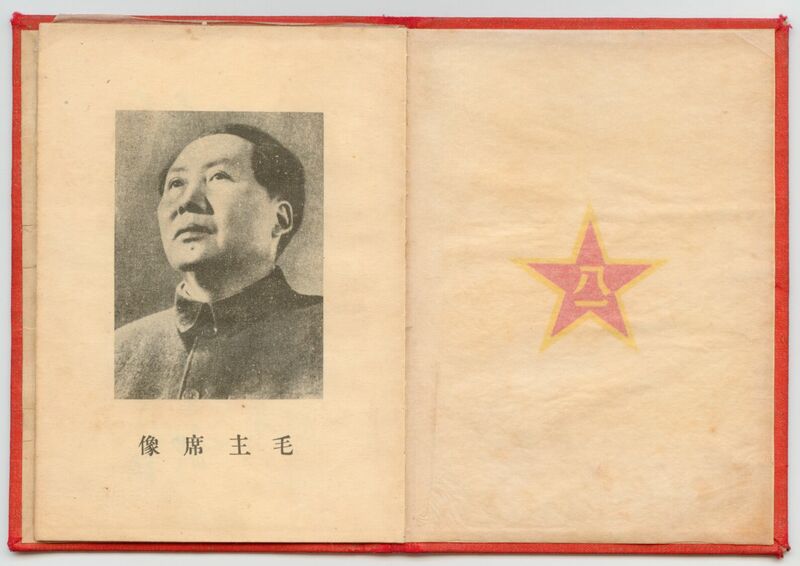 This is an absolutely authentic item meant for the serious collector as a fantastic addition to a collection of rare and unique items. 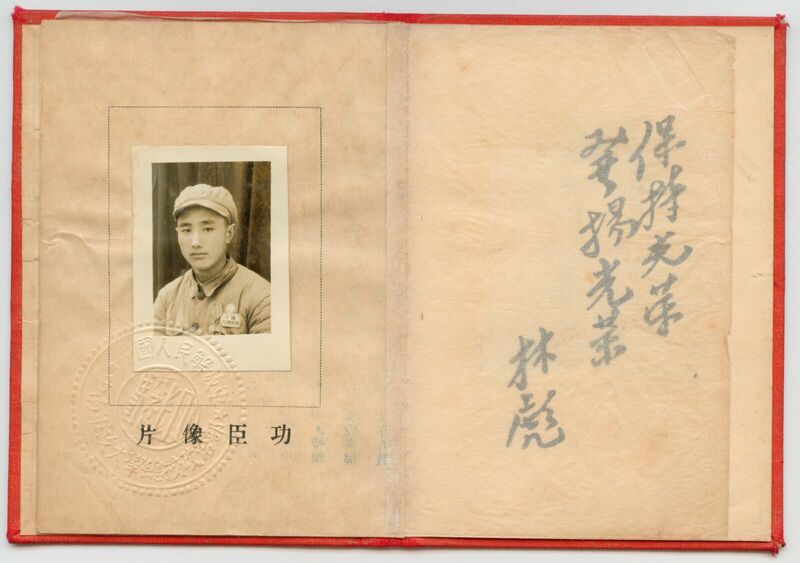 The book measures approximately 10 cm x 13.5 cm. 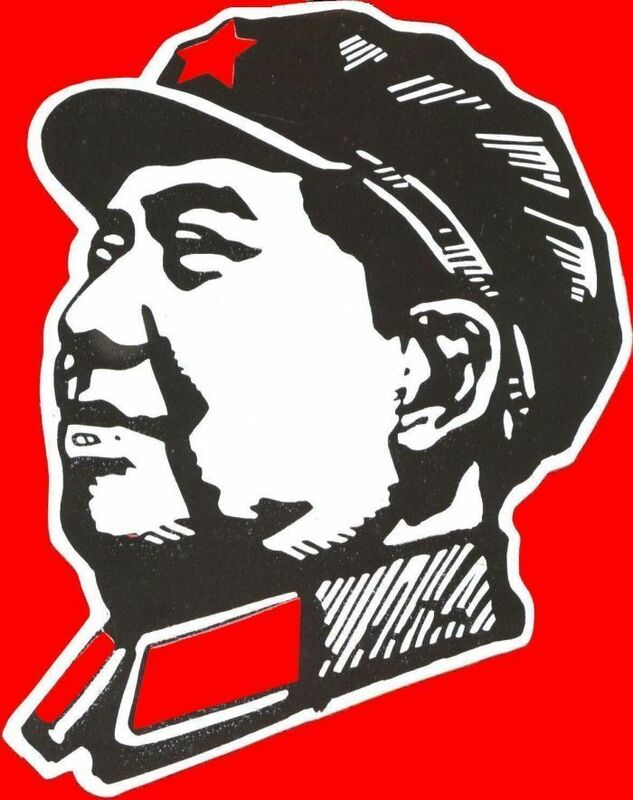 The only imperfection seems to be a missing tissue paper in front of Zhu De.